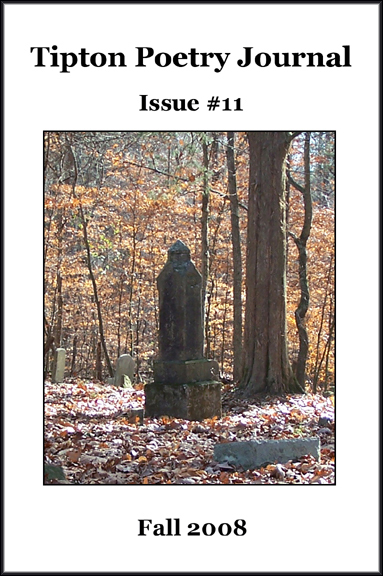 Issue #11 of the Tipton Poetry Journal has been published and is available now in both print and online versions. Contributors for the Fall issue include: Greta Aart, Stephen Anderson,,Becky Armoto, Shannon E. Brewer, Melanie Browne, Karen Bryant, Liz Dolan,,Olga Dugan, Cherryl E. Garner, Lenora Goldman, Joseph Heithaus, Chris,Hoff, Ramya Chamalie Jirasinghe, Jennifer Juneau, Jenny Kalahar, William,Keener, Michael Keshigian, Ry Kincaid, Robert S. King, Steve Klepetar, Ben,Martin, Marsha Mentzer, Norman Minnick, Giorgio Mobili, Sally Molini,Pamela Porter, Connie Post, Doug Ramspeck, Talia Reed, David C. Reynolds,,Amy Jo Schoonover, Carolee Sherwood, JL Smither, Kristin Stoner, Kelyn,Stump, James Tipton, Mike Walker, Amy Watkins and Kit Williamson. Poetry on Brick Street will present Mary Sexson as the featured poet and speaker at its December event at 6:30 p.m., Thursday, December 4th , at Plum’s Upper Room Cafe; 112 South Main Street in Zionsville. 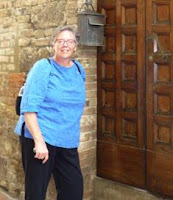 Mary Sexson lives and teaches in Indianapolis. Her first collection of poems, 103 in the Light: Selected Poems 1996-2000 , was chosen as an Honorable Mention finalist in poetry, for Best Books of Indiana 2005, by the Indiana Center for the Book. Her poems have been published in Flying Island, Arts Kaleidoscope's Art and Poems, Borders Insight Magazine, and Grasslands Review. Mary also received 2nd place poetry prize in the 2008 Fountain Square Masterpiece in a Day contest. An Open “mic” for poets will follow the featured speaker.